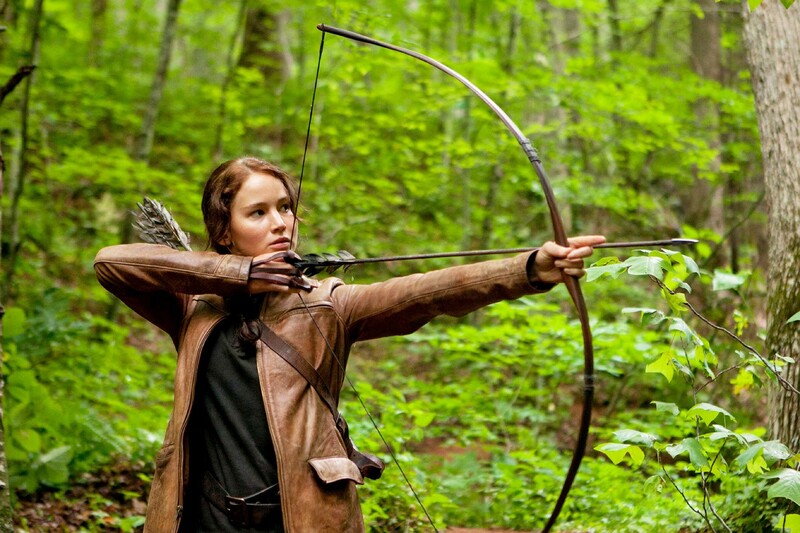 Dan took me to see “The Hunger Games” tonight and I really liked it. I intended to write a substantial post about it when we got home tonight, but I had a particular quote in mind that I wanted to include and I can’t seem to find right now. It’s from back in 2004, I think, so I’ll probably have to employ some creative tactics to locate it. I’m not even sure what site it was on! That’s going to complicate things. And since it’s almost midnight anyway I figure the best idea is to wait until at least tomorrow to write my movie review (assuming I can find that quote, of course). Until then, I hope everyone is having a great weekend! I wrote about these lemon brownies a little bit on Sunday, but after eating nearly the whole pan myself I decided the recipe was worth sharing in its entirety for Foodie Friday. If you happen to be in the mood for a fruity treat rather than a chocolaty one (heaven forbid! ), this recipe is the way to go. These cake bars or whatever you want to call them have the consistency of brownies (hence the name that doesn’t quite fit) and they pack a serious tangy lemon punch. In fact, the glaze is so powerful that I might try making it with a liquid other than lemon juice next time. But if you like lemon-flavored desserts, you’ve come to the right place. I’m looking forward to trying this recipe with orange juice/zest to see how it turns out. And maybe some chocolate glaze on top. Yum! Combine the flour, sugar, and salt in a large bowl. Beat in the softened butter. Add the eggs, half of the lemon juice (about 1 Tbsp), half of the lemon zest (about 1 tsp) and beat until combined. Pour the batter an 8×8″ pan lined with aluminum foil and coated with cooking spray. Bake at 350 deg F for 25 minutes or until a toothpick inserted near the center comes out clean. Cool completely on a wire rack. To make the glaze, stir together the powdered sugar, the rest of the lemon juice (about 1 Tbsp), and the rest of the lemon zest (about 1 tsp) in a small bowl. Spread evenly over the brownies and let sit for about 30 minutes before cutting. Enjoy! Based on Rita’s Recipes Lemon Brownies. After a particularly stressful week of work last month I promised myself that when it was over I would buy myself something frivolous. Who says we’re ever too old for rewards? I originally thought I’d buy myself a movie or a t-shirt or something like that, but then I saw a commercial for Revlon PhotoReady Airbrush Mousse makeup I decided that’s what I wanted. Not only do I love Emma Stone (and her complexion which is about as pale as mine), but I’m always on the lookout for foundation that’s new and different. As you can tell by the above photo, I’ve tried quite a few. Back in September I thought I had found the perfect makeup with L’Oreal True Match. I even wrote about it! But while it has a perfect shade for me (except right when we came back from Hawaii and I was every so slightly tan) and I love it’s powdery finish, it’s not ideal for the climate of Southern California. Living in Los Angeles has given me perpetually dry skin – especially on my face. My daily facial regimen usually involves either Cover Girl tinted moisturizer or just some Olay Complete moisturizer because the L’Oreal True Match doesn’t look that great on my dry skin. Very unfortunate. So when I was at Target today I finally got myself that long overdue reward by picking up some Revlon PhotoReady Airbrush Mousse makeup in the palest shade available. 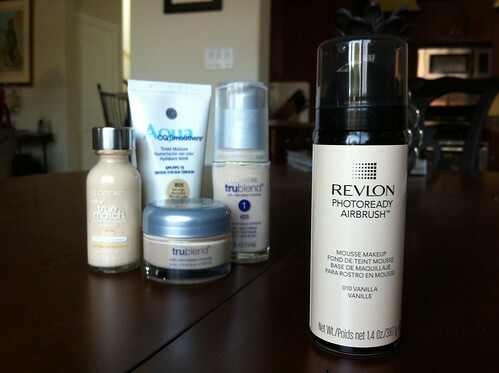 I’m hoping it’s an improvement over the other foundations I own, even thought it doesn’t have any sunscreen in it. I’ll wear it tomorrow and see how it does, but I’m prepared for it to be another flop. Most cosmetic products that I try turn out that way. So if I end up hating it that will be OK. If I didn’t try I’d always wonder! Dan is at Dungeons & Dragons tonight so I’ve got the house to myself. Work was crazy again today so I couldn’t wait to get home and relax. While I had big plans for how I was going to take advantage of these few precious hours between getting home and bedtime, I figured I’d probably just end up sprawling on the couch watching “The Princess and the Frog” and “Tangled Ever After” that I recorded last week. Sounds pretty lazy, right? Well, reality is actually worse than that. I’m watching episodes of “16 and Pregnant,” pretty much the pinnacle of bad TV, instead of the Disney movies. How embarrassing. But not every day has to be productive, right? One point in my favor is that I made a big pot of chili when I got from work. At least dinner for Dan and me is covered for the next couple of nights. I thought about making myself a special dinner tonight – something I don’t think Dan would like. I had a recipe for pasta with creamy sweet potato sauce (which I found on Pinterest, of course) in mind since I bought a can of sweet potato puree at Whole Foods recently, but I wasn’t very hungry when I got home. That’s what lunch at In N Out will do to you. And I didn’t have the energy to make anything else after the chili. Now it’s almost time for me to start getting ready for bed. Another busy day at work awaits tomorrow! Goodnight everyone! I had a very long and busy day at work today so I don’t have much time to write anything tonight. And since I didn’t do anything except work today I have nothing to write about! I was so busy that I didn’t even have time to heat up my lunch (leftover chicken curry and rice) until after 2 PM today. Because of that (and a piece of carrot cake from a co-worker’s farewell party) I was not hungry at all when I got home. I figured Dan could just eat the leftover cashew chicken for dinner, but he had taken it to work with him for lunch! Now what? Well there was no way I was going to cook anything (not only did I have no energy, but I had no ingredients either), but luckily Dan was satisfied with chips and hummus as an evening mini meal. Phew! Tomorrow I’m planning to make a pot of chili for dinner – assuming I get out of work at a decent hour. Not that I mind working a few extra hours, especially since I got so much done today, but I’d like ot have a little time to do something else at the end of the day! Anyway, I hope everyone had a good Monday. Here’s to maybe a more relaxing Tuesday. 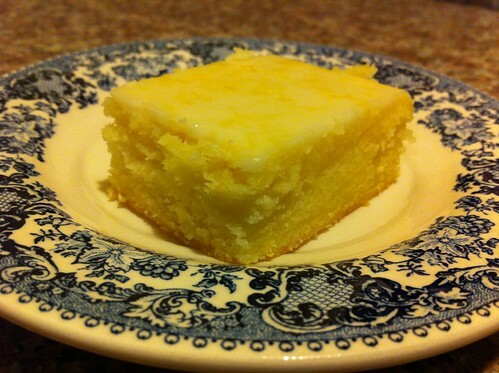 1) Lemon brownies. I intended to make these last week and take them to work to share with a co-worker who gave up chocolate for Lent, but unfortunately I was way too busy to do much cooking. I did take the green velvet brownies to work on Monday, but they had chocolate in them so not everyone could partake. Sorry about that Marie! Anyway, I had a little free time yesterday while Dan was working on his electric guitar so I whipped up a batch of lemon brownies. (I’m not sure “brownie” is the right way to characterize these bars because they aren’t chocolate, but I can’t think of anything better right now.) I’ll write a whole post about these bars later, but for now I’ll just say they are really tasty. If you like lemon, these are the “brownies” for you. 2) Cashew chicken. Dan had to go to work today, but we talked about dinner options before he left. After going back and forth with a couple of suggestions from each of us, Dan mentioned that he would like something paired with rice. A reasonable suggestion, but most of my stir fry attempts in the past have been less than stellar. However, a while back I pinned a seemingly suitable recipe on Pinterest so today was the perfect time to give it a try. After braving the rain to get some chicken and cashews at the grocery store, I made this dish paired with some brown rice for dinner. Dan absolutely loved it and I liked it as well, but the sauce was a tad too spicy for my tastes. I think I’ll try leaving out the cayenne pepper next time, but otherwise this recipe is a definite keeper. 3) Giant chocolate chip cookies. The last time I tried making one of these the dough spread out way too much, leading to a big, flat cookie with burnt edges. Not good. So when I saw this slightly modified recipe I had to give it a try to see if I could improve the results. Unfortunately this one wasn’t quite right either. The dough didn’t spread out very much, which was good, but then the middle of the cookie didn’t get quite done before the edges were almost burned. And I even baked my cookie almost 33% longer than the prescribed 15 minutes. Perhaps I should have spread out the dough a little before I put it in the oven. Anyway, while this giant chocolate chip cookie turned out better than my previous attempts, I won’t be making it again. It was just average, and I’ve made too many amazing chocolate chip cookie recipes this year to use one that isn’t up to par. On Monday I unexpectedly had to stay home from work until lunchtime so I’d be here for the delivery and installation of the two plants Dan and I bought for our hedge the day before. While I could have used that time to sleep in and be lazy (i.e., extended my weekend), I decided I was going to be as productive as possible instead. Here’s what I accomplished. 1) Made cream cheese frosting. It was originally supposed to be green cream cheese frosting to go with the green velvet brownies I made for St. Patrick’s Day, but I used up all of the green food coloring making the brownies. I figured regular white/off-white cream cheese frosting would taste just as good. When I got to work and put a dollop of frosting on each of the brownie bites my co-workers were very happy. So if you’re looking for a change of pace in your desserts, I would suggest replacing red food coloring with another color in your red velvet cake/brownies/whatever. It’s festive, unexpected, and doesn’t change the flavor at all! 2) Cut up vegetables for carrot soup. I didn’t have enough time to cook a full meal that morning, but I got all of the prep work done so I could easily make carrot soup later in the week. Unfortunately when I finally made the soup on Thursday night I made a big mistake. Instead of using the mild curry I’m familiar with, I used some new Whole Foods curry that I’d never worked with before. It was much stronger and a bit spicy and I definitely used too much. The end result was almost inedible – at least for my palate. I’ll eat it for lunch anyway, though, because I don’t want it to go to waste. 3) Did chores. Took out the trash. Cleaned up downstairs. Washed dishes. You know, the usual. It was nice to have the time to do all of these things when I’m not stressed out about making dinner and getting to bed at a decent hour at the same time. There’s something intensely satisfying about coming home from work and not having any chores waiting for me. Clean counters, tidy tabletops, and empty garbage cans – that’s a thing of beauty. Ten years ago this would all have seemed very mundane to me, but married ladies understand what I’m talking about. 4) Wrote a webpage post (“Weekend accomplishments”). How else do you think I published such a long post on a Monday? Usually my brain is the consistency of mush by Monday evening and I can’t put together a sentence that’s more complicated than, “Dinner is ready.” But last Monday I had a couple of hours to think about my weekend and put the important parts of it into words to share with my readers (all three of you). I love it when that happens. 5) Got dinner started. Before I left the house to go to work I threw a beef roast into the Crockpot and poured some Dr. Pepper over the top. I got this idea from a recipe I saw on Pinterest. 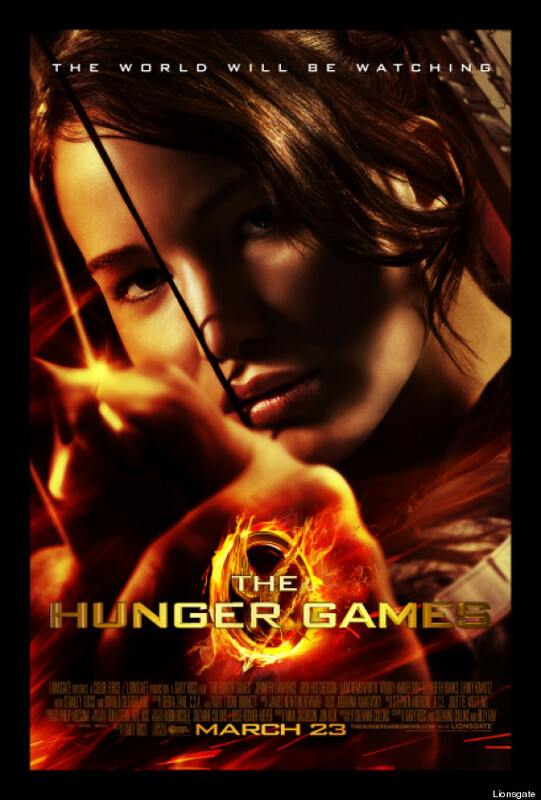 (I’m obsessed with Pinterest, I’ll admit it.) Then just before I walked out the door I turned the Crockpot on low so that the meat would be ready to be shredded for tacos when I got home. That was one of the easiest homemade weeknight dinners I’ve ever made and it tasted pretty good too! 6) Put gas in the car. This is one of the things I dread every week. I’m always too worried about getting to work that I don’t stop on the way, and gas stations are always busy in the evenings as everyone is scrambling to fill up their cars before driving home. There’s nothing more frustrating than arriving at the gas station and finding that every one of the pumps is in use with other cars already waiting in line. So a leisurely trip to the gas station in the early afternoon when the rest of the working public is otherwise occupied is a breeze. Teriyaki chicken – such a simple dish. However, it’s taken me several attempts to find a version that I really like. This recipe is definitely a keeper because the homemade teriyaki sauce is absolutely delicious. However, the sauce didn’t thicken like it was supposed to (or like I expected it to, at least) after I removed the chicken from the slow cooker and added some cornstarch. I’m not sure if that’s because more cornstarch was needed or the Crockpot just wasn’t hot enough to activate it, but I didn’t deem the end result worthy of serving with the chicken. So the lettuce wraps Dan and I assembled by piling chicken and some veggies (carrots, cucumber, celery, etc.) in a leaf of butter lettuce were a little dry without some extra teriyaki sauce on the side. My remedy was a batch of my favorite peanut sauce, but it wasn’t the best flavor combination with the teriyaki. Next time I’ll make an extra batch of the teriyaki sauce that this recipe describes and cook it on the stove until it thickens the way I want. All of that being said, this recipes made some seriously delicious teriyaki chicken. I’m really excited about making this again soon. The lettuce wraps are going to be even better with some extra teriyaki sauce to top them off. I’m looking forward to it already! 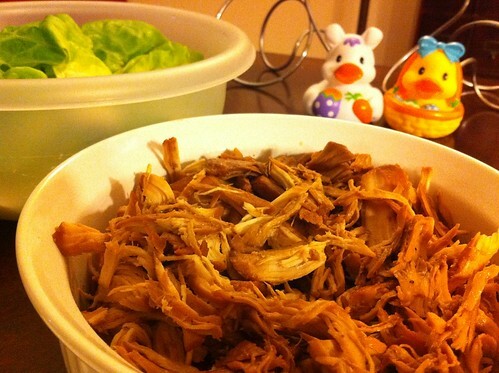 Place chicken in the slow cooker, preferably using a Crockpot liner for easy clean up. In a medium bowl, whisk together the sugar, soy sauce, cider vinegar, ginger, garlic, and pepper until the sugar is dissolved. Pour the sauce over the chicken. Cover and cook on low for 4 to 5 hours or on high for about 3 hours until the chicken is tender. 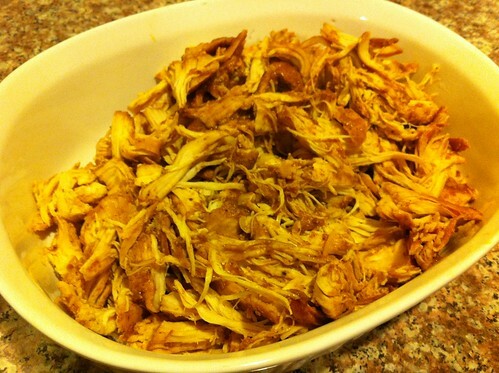 Remove the chicken from the Crockpot, place in a large bowl, and shred with two forks. Add some of the leftover sauce from the slow cooker to the chicken to add extra flavor and keep the chicken moist. The amount is up to you. Serve over rice or in lettuce wraps. Enjoy! Based on Lake Lure Cottage Kitchen’s Crockpot Teriyaki Chicken. Updated on 1/16/17 to update the ingredients (honey can be used in place of sugar and the amount can be reduced to 1/2 c with good results) and directions (adding some of the sauce after shredding it to keep the chicken moist) based on my personal preference. Chicken curry – my culinary nemesis. I’ve documented my multiple attempts at making this dish, but so far they’ve all been complete failures (at least by my own standards). But cooking is an iterative process, right? That’s how I developed my fantastic spaghetti sauce recipe, at least. So I’m hoping that if I persist I’ll eventually find the perfect homemade chicken curry recipe. My latest culinary creation was courtesy of this recipe from Three Many Cooks. Using this simple, but brilliant sounding recipe, I threw some chicken and the prescribed curry sauce into the Crockpot last Friday with high hopes. Unfortunately I made a couple of key mistakes. First, I didn’t cut the chicken into bite-sized pieces like the recipe instructed. Call it laziness or thinking it wouldn’t make a difference, but I just threw the breasts into the Crockpot whole. It would definitely have an effect on the end result because shredding the chicken after it was cooked just didn’t work with the rest of the recipe. Second, I saved some of the curry sauce rather than pouring all of it into the Crockpot with the chicken. I had this idea of drizzling the reserved sauce over a beautiful bowl of chicken and rice just before serving it. A nice thought, but after a while I realized that without cooking, the sauce was chock full of raw onion and garlic. Not very appetizing and incredibly strong! There’s a reason all of the sauce accompanies the chicken into the slow cooker – it needs to cook to mellow the flavors. But I thought I knew better. Silly me! To make a long story short, my latest attempt at chicken curry was OK, but still not as good as I hoped. Once I nuked the reserved sauce for several minutes in the microwave (a desperate attempt to save it) and mixed a spoonful of it with some shredded chicken and brown rice it was actually really tasty. I had it for lunch twice this week and enjoyed it, but I know there’s still a lot of progress to be made. So let’s call this Slow Cooker Chicken Curry #5. I’ll let you know how my next batch turns out!